Chapel Hill-Carrboro Schools are closing early because of winter weather, but buses won't be able to drive kids home until road conditions improve. Winter weather prompted many schools to close across central North Carolina today. Chapel Hill-Carrboro City Schools made that call later than others. Classes at Chapel Hill-Carrboro high schools were canceled today, but not before elementary and middle school students got to their desks. District spokesman Jeff Nash says the younger kids begin their days earlier. "We are dismissing early, but we did not put a time on that because we're waiting for the weather to break," Nash says. "If parents want to pick up their children, they're certainly welcome to do that, there's no penalties or anything like that. They're welcome to come out to the school and get them." 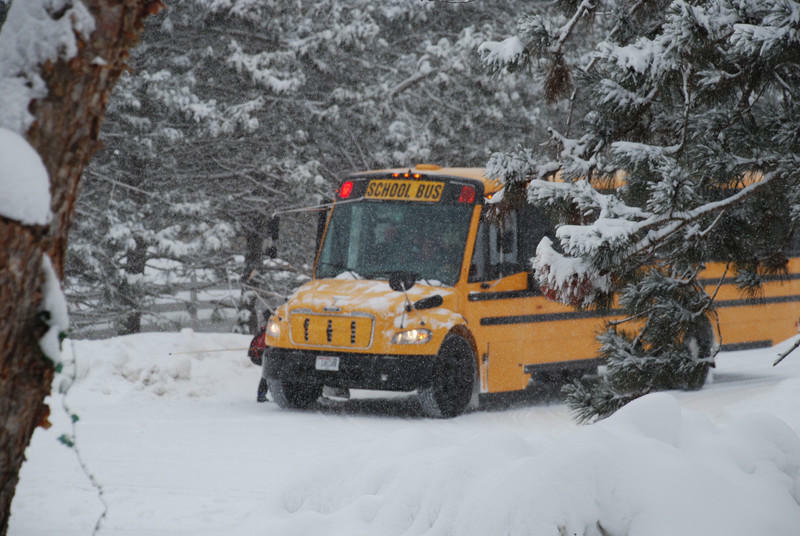 Nash says as soon as the weather improves, buses will take the remaining students home. Parents will be notified when that happens. He adds that the main focus is to get everyone home safely.